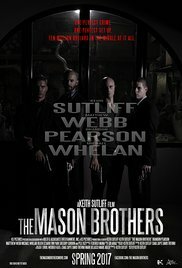 The Mason Brothers is a 2017 American crime dramafilm written, directed by and starring Keith Sutliff. It also stars Brandon Sean Pearson, Matthew Webb, Tim Park, Julien Cesario, and Carlotta Montanari. Read more on Wikipedia.